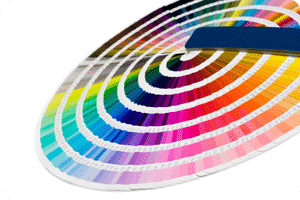 If you have a color printer or copier then you should demand the best color possible. Today’s machines offer the ability to print like never before. The color quality and print resolution you get in offices today used to only be accomplishable through outside resources. Yet, some people still get disappointed by bland colors from their printer or copier. At NYC Copier we believe in the quality of our devices and we are dedicated to making sure you know how to get the best color prints. If you are experiencing dull and boring colors it is likely not the machines fault. Color issues are usually a result of user error. Many people do not take the time to make sure they truly understand their machines. This leads to a lack of understanding of how to get the best results. What you need to understand is that just because your printer can print in color doesn’t mean it always should. Your printer does not automatically understand what kind of job you need to complete. You need to make sure you set your printer up to give you great results. If you follow these steps then you should be able to get the brightest colors your machine can offer. However, if you are still not impressed with your results then it may be time to upgrade to a new device. Give us a call today at Nationwide Copier to figure out the best color printer solution for your business.